Robust and with many storage options. Colour: black. PU coated polyester / nylon. 53 x 32 x 24cm. Approx. 30L. 850g. 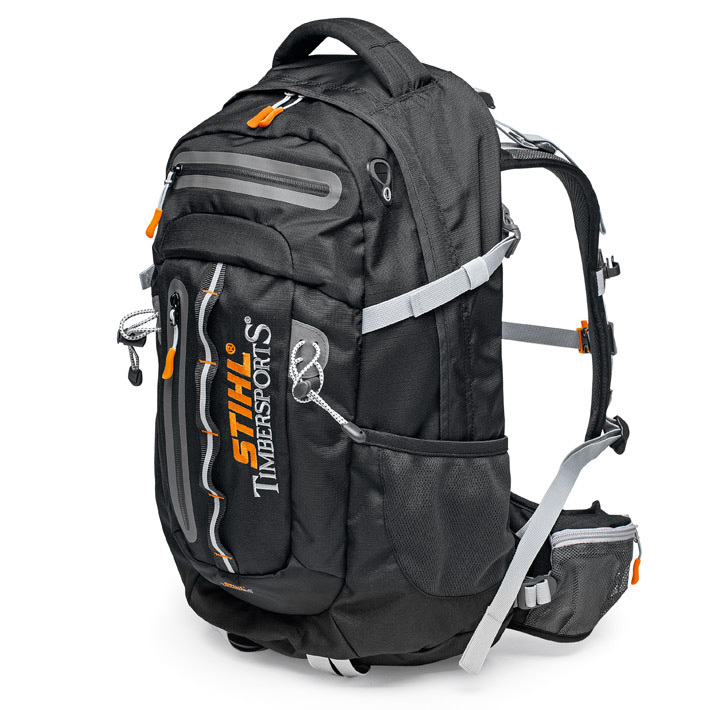 Mesh back for air circulation, compatible with drinking systems, compression straps, waterproof zips, MP3 port, padded pocket for small devices, elastic side pockets, built-in rain cover, reflective elements, avalanche whistle, STIHL® TIMBERSPORTS ® on the front, back and on the straps.